Misha Lenn is an internationally acclaimed, award-winning artist who has a very distinctive style of watercolor painting. The complex patterns of Klimt, the elegance and grace of Degas, the romantic verve of Renoir, technical command of Monet and the vibrant energy of Toulouse Lautrec have been his primary influences. Misha lives and works in Boston, MA. He studied at the prestigious Academy of Art and Design in St. Petersburg, Russia. Misha had numerous solo exhibitions, and his paintings can be found in private and state museum collections in the United States, Russia, Germany, Canada, France, Sweden, Spain, Israel and Monaco. Misha has also won many awards for his logo designs. His list of clients includes Calvin Klein, DKNY, Harvard University, Boston Symphony Orchestra, Boston Ballet, Time Magazine, Westminster Kennel Club, and Godiva Chocolatier. Misha Lenn has been involved in various forms of creative expression. At a very early age he studied music, and this interest still manifests itself in his piano playing in his spare time and in his art. 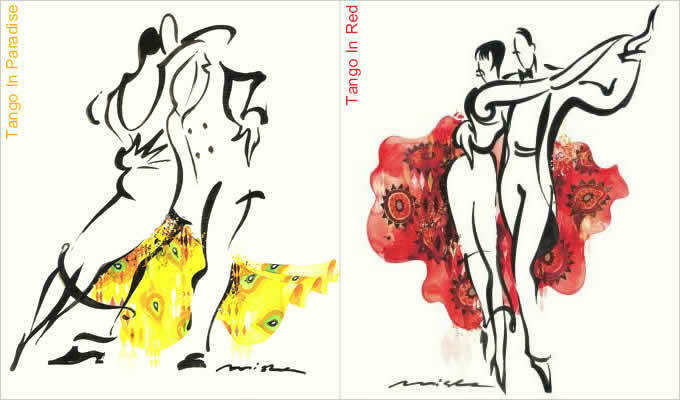 Misha’s watercolor series Jazz and The Argentine Tango vividly reflect his passion for these unique forms of art in movement. 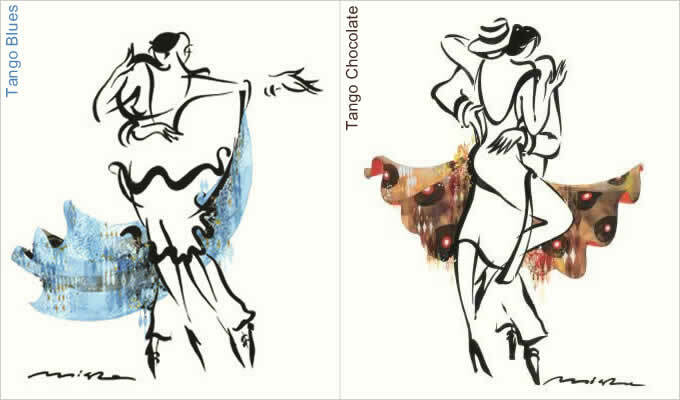 Misha Lenn believes the Argentine Tango dancing is a wonderful form of improvisational art very similar to jazz. His longtime interest in Argentine Tango advanced after he met with and took several dance lessons from the famous Argentinean tanguero Pablo Veron in 2004. Since then Misha Lenn completed two magnificent series of watercolor paintings dedicated to his love for this passionate and elegant dance. 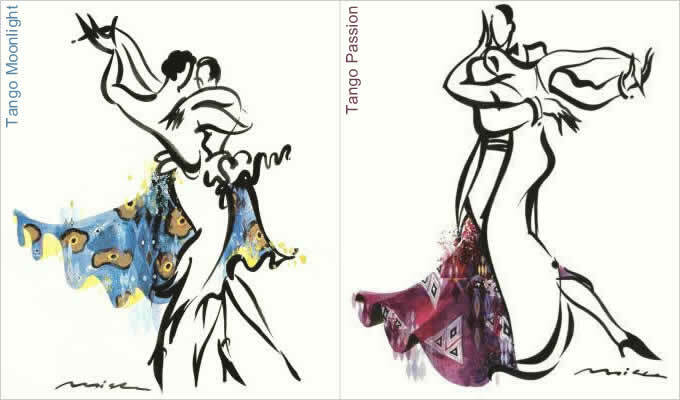 Misha finds Argentine Tango an endless source of inspiration, and we anxiously await more of Misha’s dancing colors. 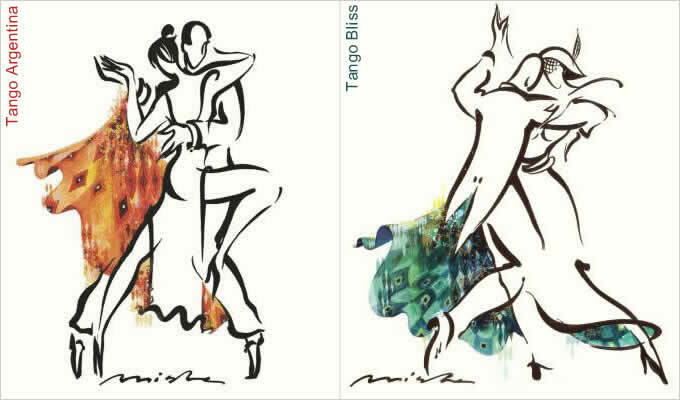 More on Tango Art. More on Tango Atlanta.